Hope someone can help me out here. I'm registered with Upwork as a freelancer but I'd like to post a job and hire a freelancer for a personal project (i.e. I'd like to become a client). Upwork is making my life very hard to do that. I'm wondering if there's a trick that I'm missing? I know I can always set up a new account as a client but that's a pain in the neck. Thanks! It's hard to post a message here. There's a pencil icon on the left but that's for "Register" instead of "Write a message"
Support is unclear: Why indicate support chat when it's not available? I clicked on support chat, but that requires me to log in, and when I do, it takes me to the Help articles which is extremely frustrating. I looked for a support phone number, finally found one in the list of offices webpage, but that number isn't even a 0800. No support email address either. Now linking back to my original post: Why make posting a job as a freelancer so difficult?! Sorry I know I'm a bit annoyed here but these concerns are legitimate, and I'm sure others have experienced them too. I appreciate that there's lots of features on this website but personally I think quite a lot of them are just bells and whistles - for example, as I'm typing this, there's a column on the left showing "Top Solution Authors" and so on ... why would I want to know that? Click "Settings" (drop down next to your photo at the top of the page). 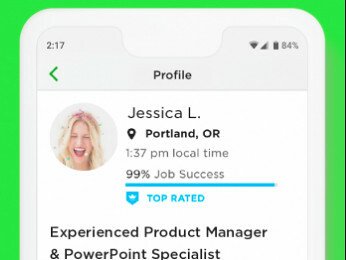 At the bottom of the left nav, you'll see "Create a company". As Christy posted, to create a client profile, please click on your photo in the upper-right corner, go to Settings, scroll down and click on the "+ Create a company" link on the left side of the page, and choose "Create a Client Company". After you complete all the steps, you'll be able to switch between your Freelancer and Client profiles in the account view menu (the one that appears in the upper-right corner after clicking on your photo). Once your client profile is set up, please follow advice and instructions shared in this Help article and post your first Upwork job. 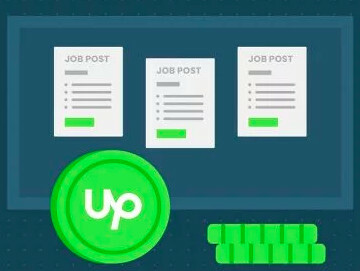 Also, follow this link and visit our Hiring Headquarters to find all the information and best practice advice designed to help guide you through the hiring process on Upwork. If you need any assistance, feel free to post your questions in the Clients forum. Please upload a real photo of yourself to your freelancer profile in order to bring it in line with our ToS. I can't see that option once in my user settings. Am I missing something? Click the Accounts menu and choose Settings. Click the Create a company link at the bottom of the settings list on the left. Choose Create a client company. Once set up, use the Accounts menu at the top-right of your screen to switch between using Upwork as a client, freelancer, or agency. Thank you for your reply. But there is no such option of creating a company in my profle. What I can do now? I'll go ahead and check this with the team and will get back to you with more information. UPDATE: Hi Noman, could you please try using this link to create a client account. Let us know if the issue persists. 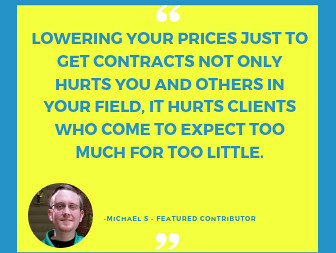 I checked your account and you already have client account opened, please go through this Help Article and find out how to make an offer to hire a Freelancer. You can post a job, verify your payment method, review proposals you receive, send an offer and hire a freelancer to complete this work for you, and process the payment as explained here. You can also opt into receiving assistance from our dedicated team, helping new clients post their jobs and invite the best talent for their specific project. I'd also strongly advise you to review the client resources we shared here. Let us know if you have any questions or need further assistance. I'm having the same issue. How do I post a job as a freelancer?